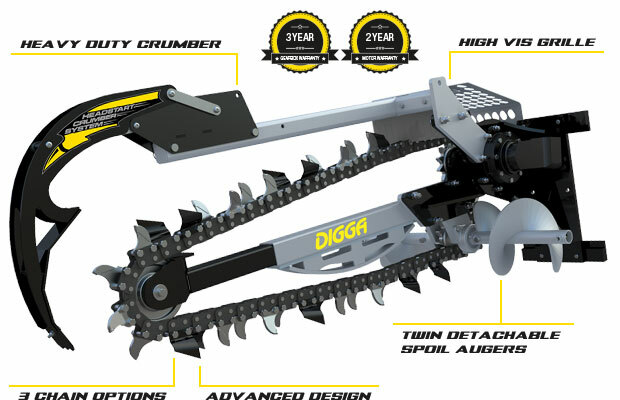 Get ready for some serious trenching with Digga's Hydrive range of Trenchers. Choose from standard models up to 1200mm digging depth - Ideal for skid steer loaders and tracked loaders up to 3.5 tonne, or choose from the bigger XD models with a wider cutting width perfect for machines up to 8 tonne. Trencher usage ranges from pipe laying for irrigation, to underground power & communications, road repairs, and general construction. Drive System positioning allows for more usable horse power, providing greater efficiency for serious trenching. The EATON motor is housed above the spoil, protecting from rocks and debris. Twin Spoil Augers remove finely crumbled spoil to both sides of the trench for a cleaner finish. Both augers can be detached when needed for close-up trenching to walls or fences. 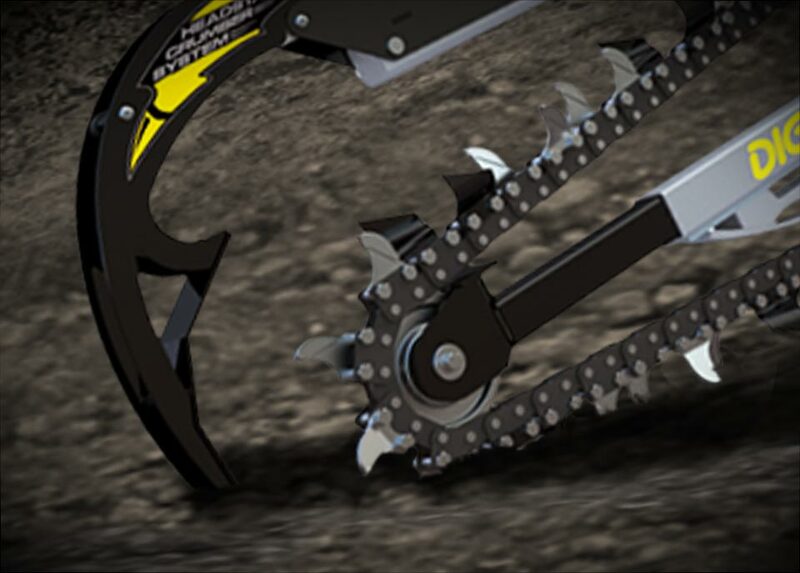 A High Visibility Grille lets the operator see what they are doing regardless of the trencher's angle, helping them to work faster and safer. Advanced design creates finely crumbed spoil for effective re-compaction and minimal ground disturbance.